This heroic account of one man’s survival of a kidnapping due to his ability to draw on the power of aquanimitas—the ability to stay calm and rational even under conditions of extreme duress—should serve as a motivational text for all those who are at risk of such an event happening either to themselves or to someone whom they know. Dr. Steven L. Berk’s Anatomy of a Kidnapping: A Doctor’s Story gains both from a sense of immediacy, as he relates every step of the kidnapping from start to finish, and from a sense of reflection, as he discusses the crime with hindsight on the incident. Chapters that describe the kidnapping and those that cover the background to the event are counterpoised against one another in such a way that the work as a whole stays riveting from start to finish. Especially interesting are the verbatim excerpts that are given from the trial State of Texas v. Jack Lindsey Jordan. Anatomy of a Kidnapping reveals Dr. Berk’s own personal history from his student days spent at Boston University, during which he spent four months working at the isolated hospital in Kearns, among other hospital-based experiences, through his days as a qualified practitioner, in which he obtains a measure of resolution to the crime perpetrated against him, in the form of the sentencing of his kidnapper to two life sentences, one for aggravated robbery and aggravated kidnapping. As Dr. Berk states in the prologue to this autobiographical account, he is not the usual victim of crime. Having spent his life devoted to the practice of medicine, he little expected that one day he would have to draw on his inmost spiritual resources to withstand an onslaught on his life, as well as a dire threat to the safety of his wife and family. Yet that is exactly what he had to do when, one day, he left his garage door open and unwittingly let a dangerous criminal armed with a shotgun into the sanctuary of his own home. Although told from his own perspective, as medical doctor as well as husband and father, with a keen sense of responsibility toward both his community and his family, Anatomy of a Kidnapping also provides valuable insights into his patients’ and students’ lives—as well as into the criminal mind. The work provides inspiring lessons for all, as it shows how the author developed the core principles that he upheld during his ordeal at the hands of a man on the run, including hope, bravery, compassion and understanding. 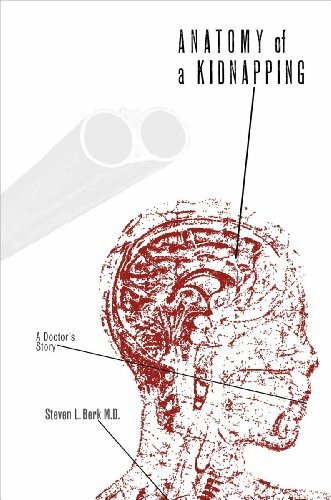 Anatomy of a Kidnapping should prove to be an exciting and compelling read for medical and legal professionals, as well as for those in law enforcement. The book is also likely to be of interest to anyone who is concerned with the impact of crime on daily life in the suburbs.